This rare piece of furniture is imported direct from Italy. The bar is constructed of the highest quality wood and is carved to give it a traditional feel. This exquisite piece of furniture has many shelves, perfect for storing glasses and bottles. The actual serving bar of this piece rolls out to be separate from the unit itself, creating an air of convenience and versatility. 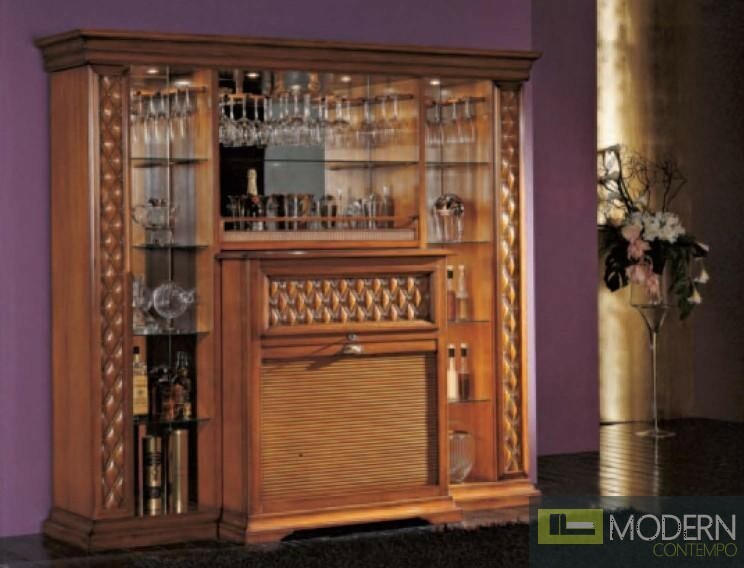 This complete bar unit would be absolutely necessary when hosting a high-class dinner party. W92.1" x D27.8" x H87"